Washington Gov. 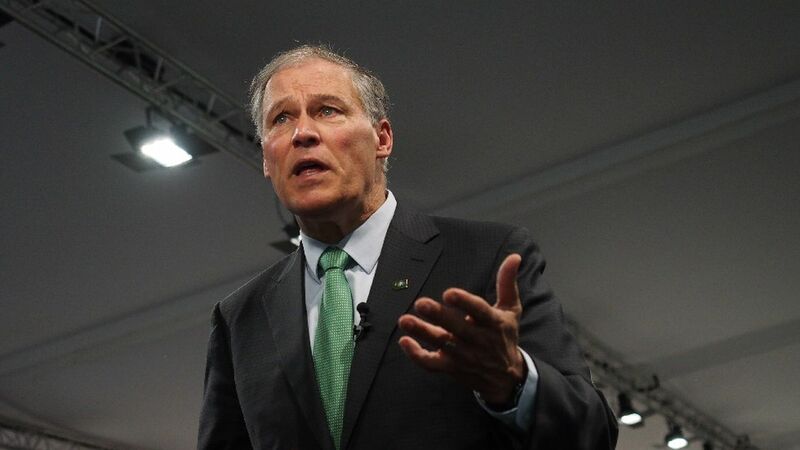 Jay Inslee, a Democrat, will unveil a carbon tax proposal in his address to the state Tuesday, local media reported Thursday. Why it matters outside of that Washington: The debate, while unique to the Evergreen State, is also emblematic of the struggles any effort to push a federal carbon would face. Washington state voters opposed a ballot measure that would have created a carbon tax in 2016. That effort failed partly due to disagreements among environmental groups and others about what to do with the revenue raised from a tax: return it to taxpayers or use it to fund specific policy priorities. That's a question sure to drive any national carbon tax debate. Driving the news: Inslee said in early December that he plans to use at least some of the revenue from the proposed carbon tax to fund education. The plan would need to pass the state legislature, which Democrats recently gained control of. On the failed ballot measure in 2016: "The initiative was poorly conceived and poorly drawn." On the environmental groups agreeing on the carbon tax policy: "The environmental community is now engaged in looking at an initiative for next fall if the legislature is unable to move forward in the next session in January and February to further climate action. They're doing a good job of having an alliance. I've spoken to them on several occasions." On what to do with any revenue raised from a price on carbon emissions: "We have several needs associated with climate. We have to have a fund to fight forest fires and help manage better forests health that have been ravaged by effects of climate change." He indicated he's not going to push a policy that returns revenue to directly taxpayers: "The people feel if they're going to make an investment in a revenue source, they want to see some action."